The amount of data in the world is growing exponentially. IDC predicted in 2014 that the amount of data on the planet would grow 10-fold in the next six years to 2020 from around 4.4 zettabytes to 44 zettabytes. Additionally, the majority of the recently generated data – like the comments you just made on Facebook – are unstructured or unmanaged. Luckily, with more leading enterprises, such as Amazon (Alexa), Apple (Siri), and IBM (Watson), are investing in AI, machine learning, and natural language processing these unstructured data have the potential to be transformed into meaningful, informative data for enterprises. They’re developing a new educational platform and products that can adapt to individual preschoolers’ learning preferences and aptitude levels, using data, pattern recognition, and natural language processing for personalized learning experiences. Among many players, IBM Watson has been driving the adoption of cognitive computing in enterprises, which is believed to become a $2 trillion opportunity over the next decade. For example, Sesame Workshop, the nonprofit educational organization that produces Sesame Street, is developing a new educational platform and products that can adapt to an individual preschoolers’ learning preferences and aptitude levels. In healthcare, many hospitals are using or planning to use IBM Watson to find cures for rare diseases. To help more organizations explore the possibilities in machine learning and natural language processing, IBM opened its services through APIs in its developer cloud. 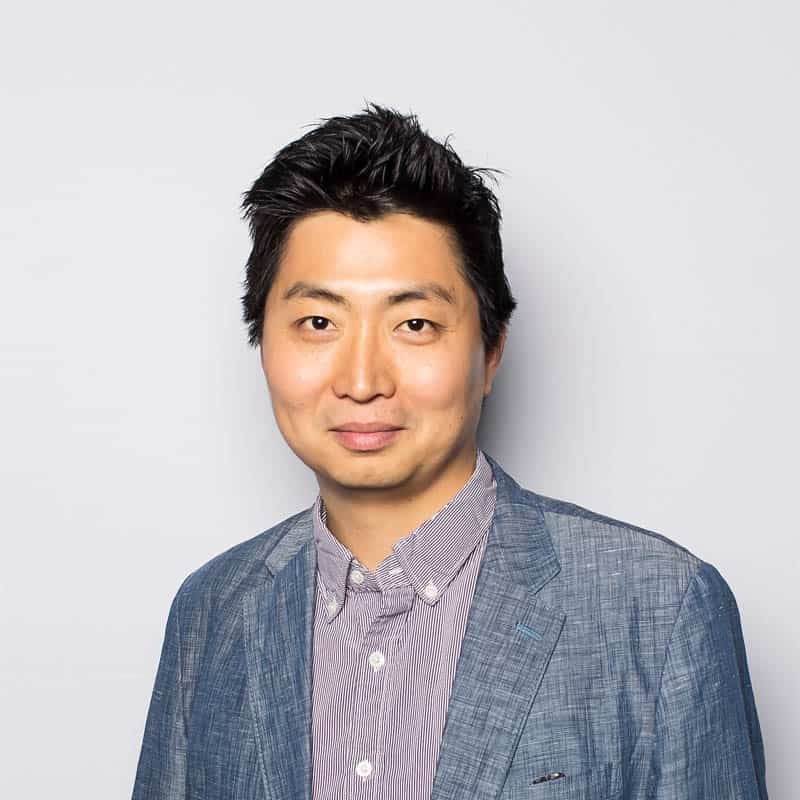 To help MuleSoft’s ecosystem to participate in this opportunity, Admios developed the MuleSoft Certified IBM AlchemyLanguage Connector, leveraging IBM’s APIs that enable text analysis through natural language process. Using this connector, organizations can understand what customers are saying about them and their products, and turn those insights into meaningful actions for their organization. The following example shows how to analyze tweets with AlchemyLanguange. Since the app will use MuleSoft’s connector for Twitter, please find the following information from your Twitter account. In order to use the AlchemyLanguage Connector, you need to get an API Key from IBM BlueMix. If you don’t have an IBM BlueMix account, you can create one here. Copy and paste the following XML in “Configuration XML” of your Mule project, and put connector configurations for Twitter Connector and AlchemyLanguange Connector in mule-app.properties. <mule xmlns:twitter="http://www.mulesoft.org/schema/mule/twitter" xmlns:batch="http://www.mulesoft.org/schema/mule/batch" xmlns:dw="http://www.mulesoft.org/schema/mule/ee/dw" xmlns:json="http://www.mulesoft.org/schema/mule/json" xmlns:http="http://www.mulesoft.org/schema/mule/http" xmlns:tracking="http://www.mulesoft.org/schema/mule/ee/tracking" xmlns:watson-alchemy-language="http://www.mulesoft.org/schema/mule/watson-alchemy-language" xmlns="http://www.mulesoft.org/schema/mule/core" xmlns:doc="http://www.mulesoft.org/schema/mule/documentation"
After these steps, you will see the following flow in your message flow view. 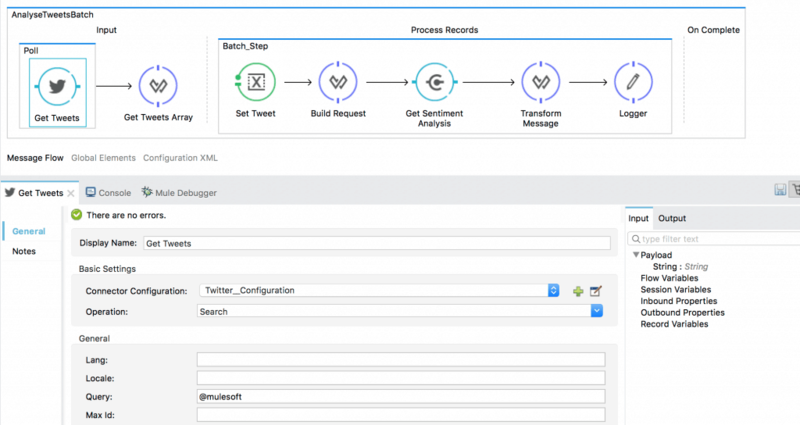 When you run this flow, it polls 15 tweets containing @mulesoft every 60 seconds and uses the AlchemyLanguange Connector in the batch flow to analyze the sentiment of each tweet. Here are some results of sentiment analysis I performed with this flow. Replace @mulesoft with your company’s Twitter handle, or the Twitter handle for your products to quickly and easily assess the sentiment of the tweets you are receiving. Of course, you can also replace the Twitter Connector with Facebook or any other social media platform. 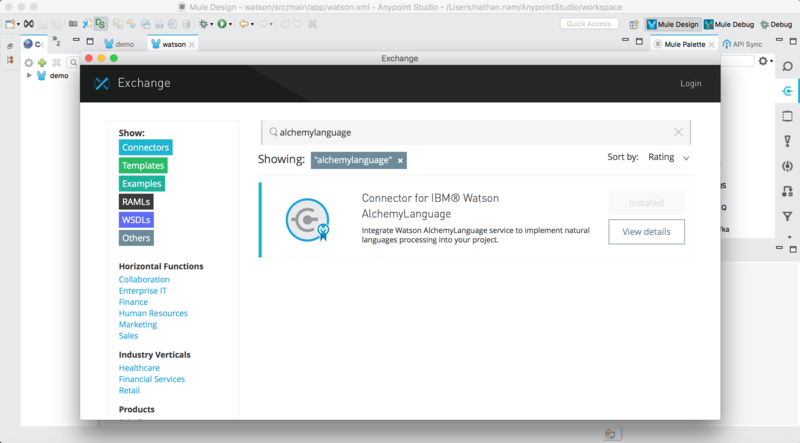 For new users, try the above example to get started, and for others, please share with us how you are using or planning to use Watson AlchemyLanguage or other natural language processing services! Also, feel free to check out MuleSoft Certified Connectors or visit the connector certification program page to learn more and be a part of MuleSoft ecosystem.